Leadership training is not groundbreaking. But Civic Champions is. 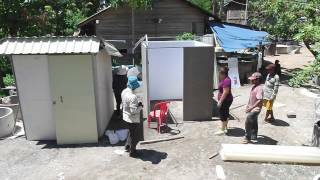 How WaterSHED is guiding local leaders to boost Cambodia’s sanitation towards full coverage. 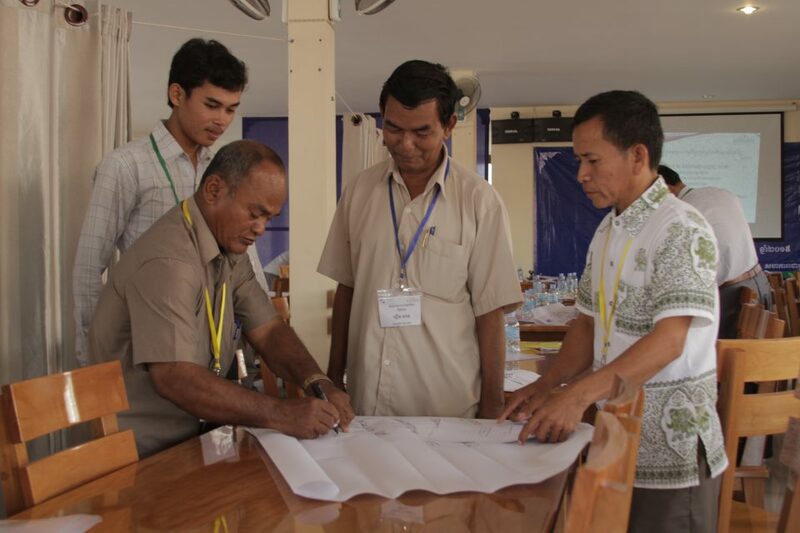 In Cambodia, skills development or ‘capacity development’ workshops are nothing new. Most local government councillors have attended several during their careers as international NGOs have attempted to train them on project implementation – often how to fill out forms. Typically, organizations lure low-paid public servants to join workshops by paying participants an attractive per diem in exchange for their attendance. Talk to any district or provincial official in Cambodia and the question of ‘DSA’ will likely come up – a well known U.N. acronym for daily subsistence allowance. Nominations to attend workshops are perks traded among government staff because the allowances can easily outstrip their monthly salaries. When workshops occur at the same time, officials naturally choose which to attend based on the rate on offer, with little regard for the topic or the content of the training. This is a problem because engaging Cambodia’s local government leaders is integral for development programs to be effective and sustainable. We’ve seen it first hand. Communities led by active village or commune chiefs have significantly higher sanitation coverage. Simply put, local leaders are good at motivating people to buy and use toilets. In 2010, we met Sun Choeun, a village chief in Kampong Speu province less than 50 km outside the capital, Phnom Penh. He made it his mission to promote toilets and successfully made his village one of the first ‘open defecation free’ communities in the country. He achieved this within only four months of taking office and, today, maintains this success by ensuring people do not revert to their old habits of shitting outside. The WaterSHED team wanted to know – how did Choeun do it? How can we replicate his success in other villages, other provinces? Could we cultivate similar grassroots leaders using an approach that would actually work? Our two key hypotheses were i) the more Sun Choeuns there were in Cambodia, the faster sanitation would improve, and ii) such leadership was not genetically pre-programmed, but rather a set of behaviours that could be fostered in those who were willing to try. Before 2010, the rate of change in sanitation coverage in Cambodia was crawling at 1% per annum. In 2013, WaterSHED launched the Civic Champions pilot program, a series of three-day conferences where participants from Sun Choeun’s Kampong Speu province ‘discovered’ new ideas and ways to implement them, ‘developed’ their skills through practice, and ‘delivered’ results and feedback on their progress. The cycles of “discover, develop and deliver” reoccur over a nine month period. To set the Civic Champions program apart from the standard workshop, councilors had pay to participate rather than getting paid to attend. This ensured we had a crop of committed officials. WaterSHED also wanted to give local councillors a real opportunity to practice leadership behaviour. Most had little experience in thinking critically or strategically about community development, or even in public speaking. By the pilot’s end, the overall results were astounding. An external evaluation revealed that toilet sales increased by an average of 217 toilets every month in the two districts that participated in the program compared to the average 55 in non-participating districts – a 400% increase in sales for Civic Champions. With the momentum of success, WaterSHED expanded the Civic Champions program to nearly half the country in 2015. In June, more than 200 local government councillors from eight provinces signed up on their own volition to boost their leadership abilities and better tackle the sanitation crisis in their communities. After three days of learning and three months of practice and coaching, participants returned to the second cycle with their results. In three months, participating councilors led households in their communities to purchase 4,182 toilets, increasing access to sanitation across 16 districts by 1.5 percent. Participating districts in one province saw a remarkable 2.7 per cent increase in sanitation in just three months. By the end of the year-long program, the entire group of councilors is on track to reach a 7 to 10 percent increase in sanitation coverage, greatly exceeding the national average. Judging by the original cohort of Civic Champions, these councilors will also continue working well beyond the program in support of the national government’s ambitious goal of universal access by 2025.